Remedywear Men’s Boxers Briefs feature TENCEL fibers embedded with zinc oxide, renowned for it's anti-inflammatory and anti-microbial properties. 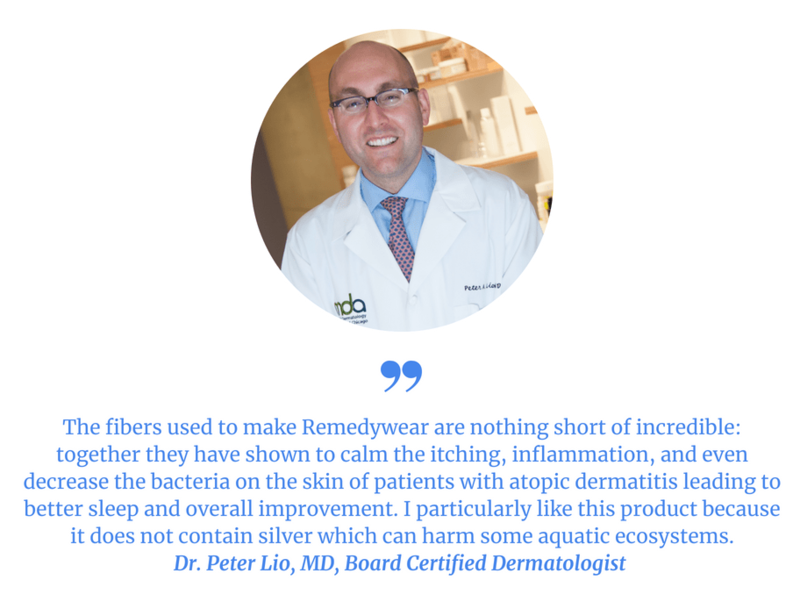 They work great alone to soothe irritation or wear them with natural skincare to enhance and support the effectiveness of your eczema or scrotal dermatitis treatment. The clinically-proven  fibers are woven into a super soft fabric with comfortable stretch that fits like a second skin. A latex-free elastic waist band and stretchy material hold the fabric in place all day and night for lasting comfort without rubbing, sliding, or pinching. These fitted boxer briefs are the best underwear for jock itch and buttocks or groin eczema because it covers the entire area with soothing relief. Enjoy moisture-wicking benefits with no chafing or sweaty irritation. Excellent underwear for jock itchy groin eczema and as a scrotal dermatitis treatment. Soothing, durable clothing that will last and can be worn day and night.